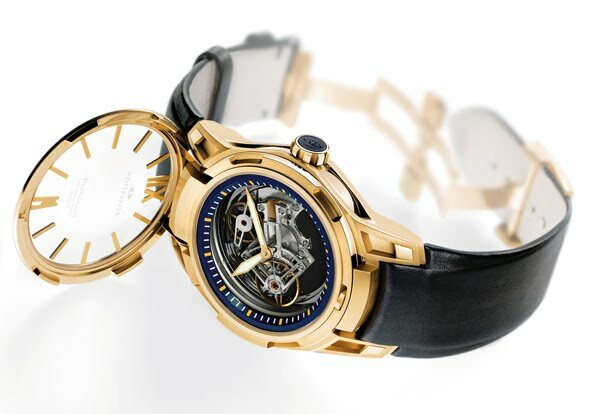 The R01 Double Complication is the debut launch from REVELATION. 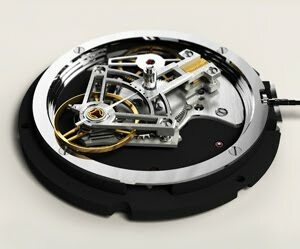 The movement of this Haute Horlogerie timepiece mysteriously appears thanks to an ingenious patented system. A secret catch within the case releases the bezel which triggers the first of the two complications: the REVELATION System®. Unique in watchmaking, this mechanism comprises two polarised crystal discs that connect with a double differential to gradually reveal the second complication, the Tourbillon Manège®. This authentic "manufacture" movement is entirely hand-finished. Form meets function for the exceptionally distinctive case which interacts perfectly with the two complications. Each metal is proposed as a 15-piece limited series.